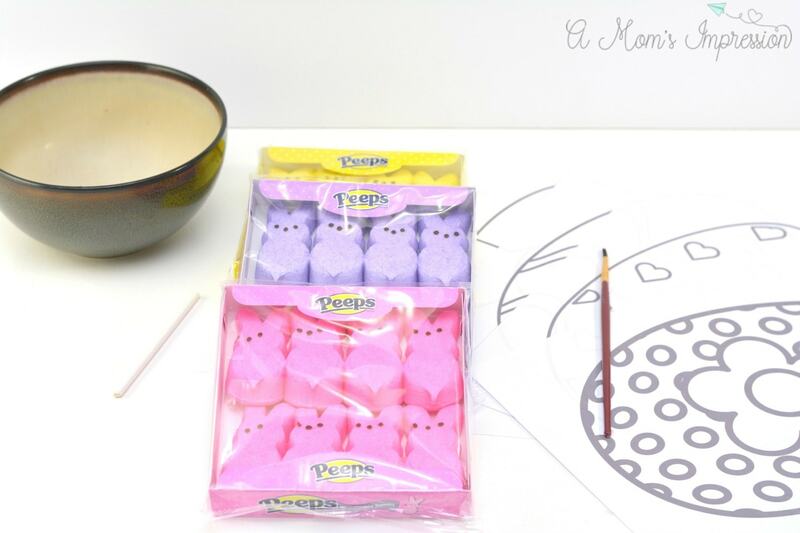 This completely edible DIY Puffy Paint recipe uses Peeps candy! 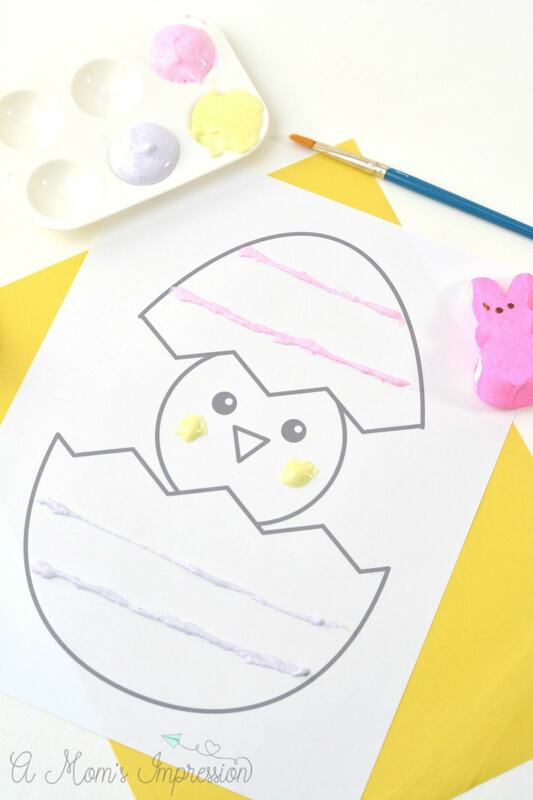 Perfect for Easter or spring, learn how to make puffy paint in minutes. Peeps candy gives it a nice pastel color that your kids are going to love. We also have a free printable chick coloring page for you! Homemade puffy paint is pretty easy to make and your kids are going to love it. Those of us with little ones who like to taste their paint can be reassured with this recipes, it is completely edible! Just be sure to let the paint mixture cool down before giving it to your young ones. 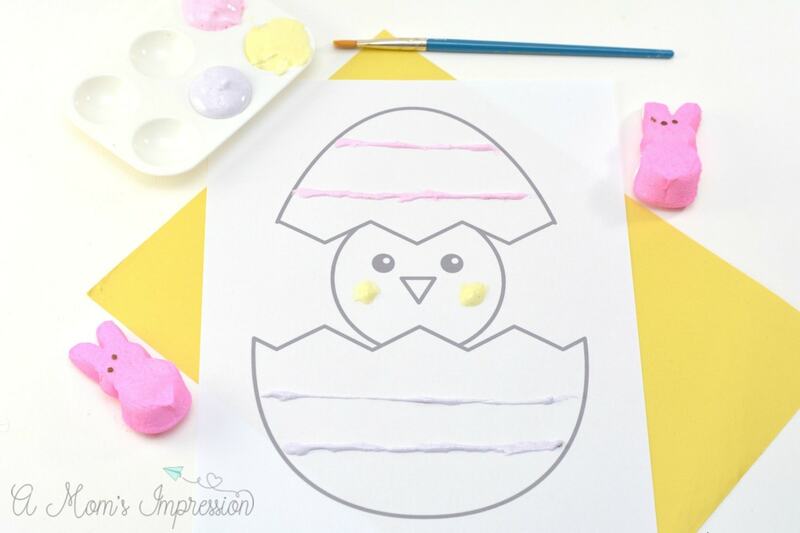 This puffy paint activity has been one of my kids’ most favorite Easter craft. We love doing this while we are making our Tie Dye Easter Eggs. The kids get into it and it keeps them occupied for awhile. 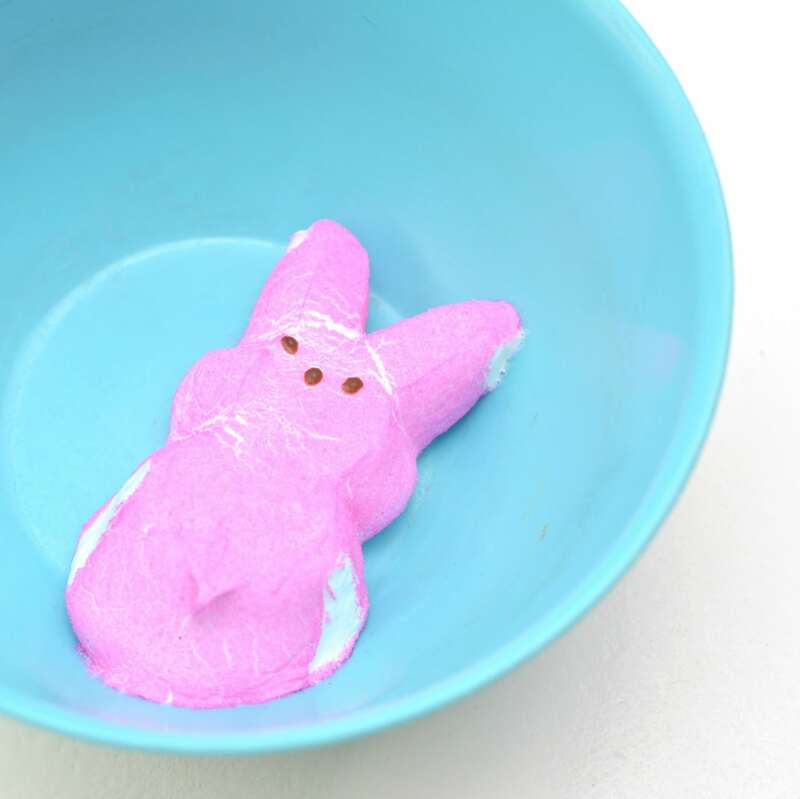 Begin by placing one Peeps candy in a microwave safe plastic bowl. Use a plastic bowl that you know does not become hot to the touch when in the microwave for short periods of time. This will make the Peeps puffy paint easier to handle, and will make the craft safer for younger children. Place the bowl in the microwave for 10 seconds. The Peeps will puff up to about 3 times their normal size. Give them one second to go back down to just a little bigger than normal. Stir the heated Peeps candy with a candy stick or other stir stick. If all of the marshmallow is not melted, return the bowl to the microwave for another 5 seconds. 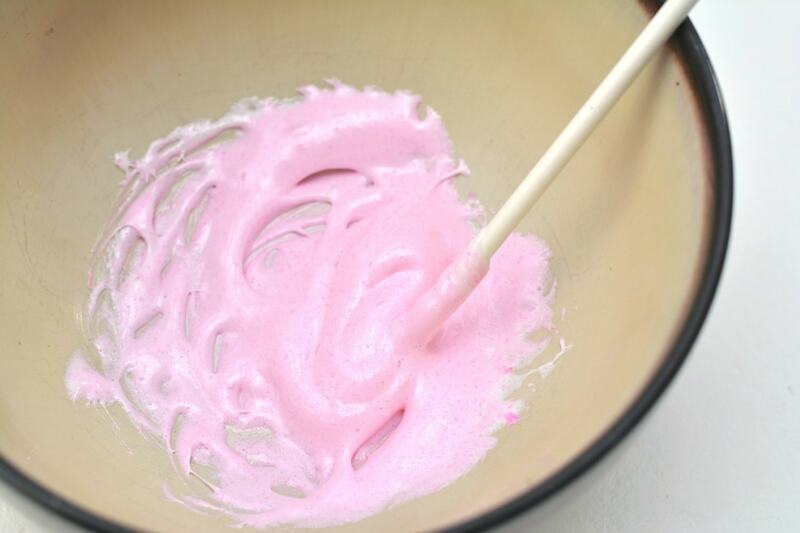 When stirred, the marshmallow should puff up into a smooth and tacky substance that can be applied to a paintbrush. 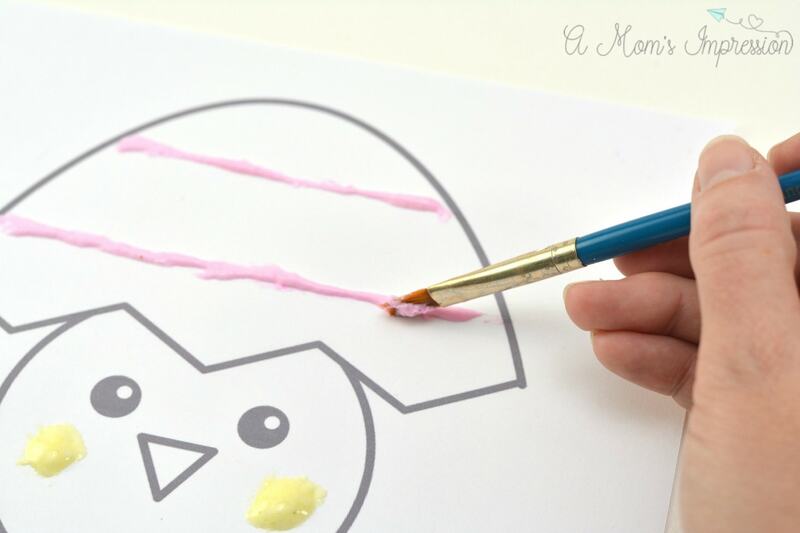 Use a paintbrush to decorate an Easter printable coloring sheet or any other surface you desire. As the Peeps candy cools down, it will begin to become harder to work with. You can simply return the candy to the microwave for 5 seconds before continuing to use it. This is not a puffy paint that can be made ahead or stored. You will need to make the paint and use it as you go along. It is best to work with one color at a time so that the paint does not cool down too quickly. Love this craft? Be sure to check out our DIY bath paints!